Covington is the county seat of Newton County, where it sits just 35 miles east of Atlanta. The city is so picturesque, it has captured Hollywood’s attention many times over the years, serving as the backdrop for several hit shows and movies, including The Vampire Diaries, My Cousin Vinny, Footloose, The Dukes of Hazzard, Madea’s Family Reunion, Selma, and The Walking Dead, just to name a few. But the truth is, Covington has much more to offer than its Hollywood history. In fact, it’s a historically-rich community with an exciting culinary scene, a vibrant downtown, and plenty of things to see and do. Housing in Covington consists of 59 percent renters and 41 percent homeowners. The median rent in Covington is $829, over $100 less than the national average of $949. Home values are also lower than the national average in Covington, with a median value of $128,300 compared to $184,700 nationally. The most popular home style here is the craftsman. Covington has plenty of benefits that make it a great place to move to if you’re relocating to the Atlanta area. For starters, it has affordable housing and cheap rent. It’s also home to an exciting culinary scene and a rich history. Whether you’re looking to retire to someplace with a mild climate, accepting a new job in Atlanta, or looking to buy your first family home, Covington is a good choice no matter what stage of life you’re currently in. Covington doesn’t have any public transportation options available, so nearly all its workforce commutes by way of car. The average one-way commute to work is 26-minutes, which is no higher or lower than the national average. Carpooling is popular here, with 12.2 percent of commuters riding with others to work. Nearly five percent of the working population works from home in Covington, while 1.1 percent walk to work. In Covington, women outnumber men by six percent and the population is largely made up of African-Americans (47 percent) and Whites (45 percent). Age dispersion is very diverse and evenly spread, with children under 10 years old making up the largest portion of the population at 17 percent. They are followed by adults aged 25-to-34 (15 percent), and seniors aged 65 and over (14 percent). The median household income in Covington is $39,959, which is lower than the national average, $55,322. The median individual income is also lower than the national average, $21,015 to $27,419. Unemployment is an unfortunate part of life in this suburb with a rate of 5.3 percent. By comparison, the national unemployment rate is 3.8 percent. If you’re looking for a find dining experience, you won’t find it in Covington, but what you’ll find is plenty of casual, moderately-priced restaurants and cheap and reliable places to eat. Some of the more popular establishments include the fusion gastropub Mystic Grill, the Thai restaurant Bangkok Grill, and the Creole-inspired R L’s Off The Square. For great food at a great price, your options are plentiful. There’s Bradley’s Real Pit Barbecue for arguably the best BBQ in the area; Plain Nuts for soups, sandwiches, and more; and El Charro for Mexican and vegetarian-friendly dishes. Or, if you have a hankering for some southern comfort food, you’ll want to go to Mamie’s Kitchen. Covington also has plenty of places to quench your thirst after the sun goes down. If you like sports bars, then you’re in luck because there are several here, including The Depot Sports Bar & Grill, Tubby Tom’s, Five O’clock Sports Bar & Grill, and Bench Warmers. Meanwhile, The Pointe is your traditional pub with good food and great drinks, or if you’re in the mood for drinks and karaoke, you’ll want to visit Porterdale Bar & Grill or The Outpost at Honey Creek. 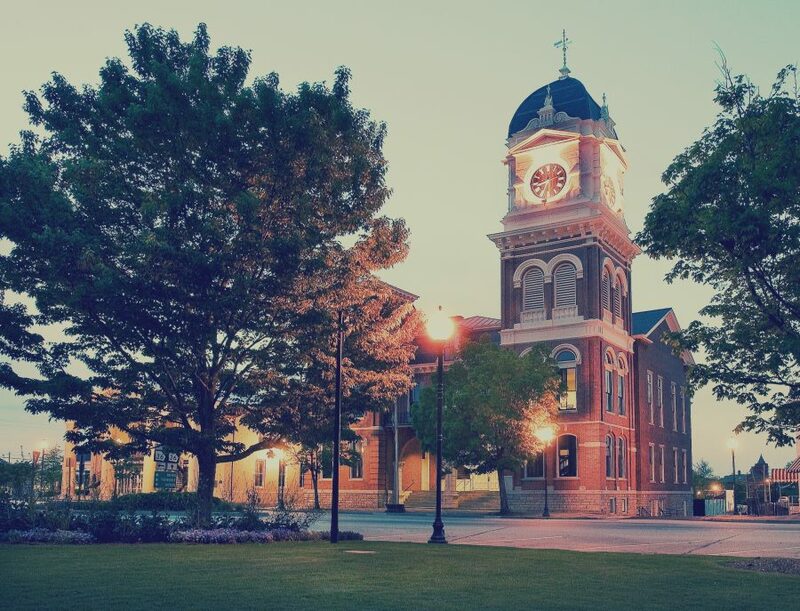 Covington is deeply proud of its history and it likes to share it with tours like the Mystical Falls Tours, Covington Ghost Tours, and other self-guided historic tours. Covington also hosts the very popular Stars and Stripes Fest every July 4th and over the holidays, Christmas in Covington attracts thousands with its Santa visit, kids craft area, and s’mores station. Other points of interest include the Pop-Up TV and Film Museum, the Georgia Television & Film Museum, the Eastside Trail, and Turner Lake. There’s also art displays, classes, and events available to the public at Southern Heartland Art. Covington has a large senior population, and their needs are met by Newton County Senior Services, which offers local seniors a recreation center and several programs and activities to help keep them physically and mentally fit and engaged with their community. Programs include things like computer classes, ceramics, a book club, games and more. The center provides home delivery meals for qualified seniors aged 60 years or older. Seniors in Covington have easy access to outstanding medical services. Piedmont Newton Hospital is the primary hospital in the area, and Emory Medical Center at Covington is also close by. Ready to move? Or, maybe you're just eyeballing the market. Either way, sign up today for FREE home trends alerts sent to your inbox!